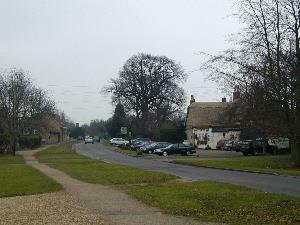 The village is immediately west of Bedford on a loop road off the main A428 (Bedford to Northampton) road. Almost surrounded by the meandering River Ouse it is a popular residential area. There are several attractive stone buildings, including an impressive group of barns close to the medieval church of St. James. Biddenham is the home of the Ouse Valley pay and play golf course.